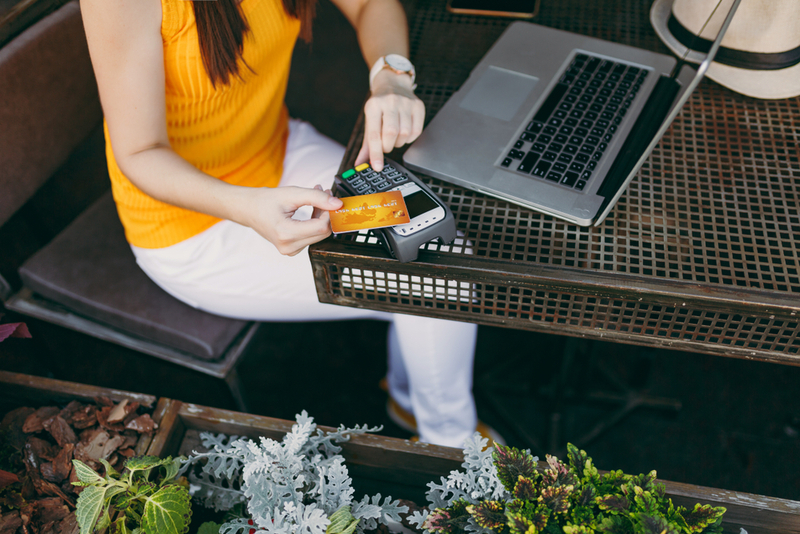 At a certain point in their operations, most small business owners will need to be able to accept and process credit card payments at their point of sale, as plastic is likely the preferred payment method of the majority of their clients and customers. But to do so, you’ll need a merchant account—and, more specifically, a reliable merchant account provider. It can be difficult to find a merchant account provider that can work well for your particular business. Firstly, it can seem daunting to sort through the sheer amount of merchant account providers out there to determine which are truly reliable and which are not so legitimate. And more often than not, merchant account providers don’t make their pricing information readily available. So in this guide, we’ve done the heavy lifting for you and chosen six of the best merchant account providers for small businesses. That way, you can start accepting credit card payments ASAP. Merchant accounts are necessary for accepting and processing credit card payments. Put simply, a merchant account is a type of bank account into which funds obtained through your business’s credit card transactions are held before transferring to your business bank account. It stands to reason, then, that a merchant account provider is the company that sets up and manages your merchant account and handles the nitty-gritty involved in credit card transactions. Your merchant account provider will then front your business those proceeds ASAP, so you don’t have to wait until your customer pays off their credit card bill to get paid. In addition to providing you with a merchant account proper, most merchant account providers also offer business owners additional products and services, including the necessary hardware to process credit card transactions (also known as POS terminals). Your merchant account provider will hold onto a cut of the proceeds involved in the credit card transactions they’re handling. And on top of their transaction fees, merchant account providers might charge additional fees, like a one-time setup fee and recurring monthly maintenance fees. Often, too, merchant account providers don’t set a standard transaction rate that universally applies to all of their business clients. Rather, you’ll likely need to contact the merchant account provider in question, and they’ll set a custom rate based on your business’s information. Some factors they’ll consider when assigning your fees include the average size and number of your monthly and annual credit card transactions, as well as your industry’s riskiness. Generally, transaction fees also vary depending on how the transaction goes through—for instance, whether the card is swiped in person or you’re manually entering card information. Flat-rate transaction fees: These per-transaction fees remain the same across the board, regardless of the type of transaction you’re processing. Flat-rate fees are most commonly found in all-in-one payment processors, like Square and PayPal. Interchange-plus transaction fees: In this fee structure, your merchant account provider will charge you for the cost of handling the transaction (the interchange fee), which are set by the credit card companies; plus a markup, which the provider keeps for themselves. With this model, you can see exactly how much the merchant account will charge you for each type of transaction, making your monthly costs much easier to plan for. Tiered transaction fees: Finally, merchant account providers may use a tiered transaction fee model, in which they’ll charge differently for transactions based on their perceived level of riskiness (which they’ll call qualified, mid-qualified, or non-qualified). Recently, some merchant account providers have opted for subscription-based pricing, which we’ll explain in greater detail later. In general, we warn against opting for a merchant account provider that charges based on a tiered model, as this model offers very little transparency—the merchant account provider won’t necessarily tell you which tier a certain transaction falls under. You’re much better off with a merchant account provider that offers interchange-plus or flat-rate transaction fees. Now that you’re clear on what exactly a merchant account provider is, you’re ready to explore your merchant account provider options. We recommend starting your search with the following six merchant account providers, all of which offer some of the most transparent pricing, best customer service, and most comprehensive solutions on the market right now. In addition to a merchant account, Fattmerchant offers business owners a range of POS terminals (including physical hardware, mobile POS readers, an ecommerce shopping cart, and a virtual terminal for online orders), developer APIs, basic reporting capabilities, and a few third-party app integrations—all of which you can access and manage through Omni, Fattmerchant’s user-friendly, integrated payment processing platform. They also offer add-on services like same-day funding, advanced customization, and advanced reporting. If you have any questions about any of your Fattmerchant products or services, you can contact Fattmerchant’s 24/7 customer support team. They also have an easily navigable Help Center on their website if you’re seeking a quick answer. But what really sets this Orlando-based merchant account provider apart is their pricing plan. Rather than an interchange-plus or tiered pricing plan, which you would typically find in a traditional merchant account provider, Fattmerchant offers subscription-based pricing. On top of their $0.08/transaction fee, Fattmerchant doesn’t add a markup rate—rather, those costs are covered in your monthly subscription fee. You also won’t find any cancellation, statement, or batch fees on your monthly Fattmerchant bill. You’ll choose which subscription plan to sign up for based on the type of POS solution or product you need: EMV terminal, shopping cart, virtual terminal, mobile POS, third-party integrations, or API. Within each of these categories, you have two subscription choices. Businesses processing less than $500,000 annually can sign up for Fattmerchant Starter Platform for $99 per month, and businesses processing more than that amount should opt for Fattmerchant Enterprise Platform for $199 per month. Note that if you want more than one of Fattmerchant’s payment solutions—for instance, if you need a shopping cart for your online store and physical POS hardware for your brick-and-mortar location—then you’ll sign up for both plans separately, which compounds your monthly fees. But for businesses that expect to regularly process a relatively high volume of credit card transactions every month, this flat-rate fee structure makes your costs predictable and straightforward. Payment Depot is the rare merchant account provider that’s totally transparent about their pricing and services right on their website—so you won’t need to dig into the fine print, or even necessarily contact a representative (though we’d still recommend doing so if you’re serious about due diligence) to understand what you’ll get with a Payment Depot merchant account, and how much you’ll need to pay for it. Like Fattmerchant, Payment Depot offers a flat-rate, monthly membership fee in exchange for the lowest transaction fees available and no additional markup. You can also choose whether to reprogram your existing POS equipment for free; use their free virtual terminal, which turns any computer or device into a POS terminal; or purchase new equipment at a low cost. As a First Data company, Payment Depot offers Verifone and Clover POS equipment, which we consider among the best credit card processing terminals on the market today. Plus, Payment Depot’s higher tiered plans include certain equipment for free. Tier 1: This is the right option for businesses that process under $25,000 per month. You’ll pay $49 per month plus $0.15 per transaction. Tier 2: Payment Depot’s most popular account tier, this plan caps at $75,000 in credit card volume per month. For this plan, you’ll pay $79 per month and $0.10 per transaction. Tier 3: For $99 per month plus $0.07 per transaction, businesses can process up to $200,000 in credit card sales per month. Tier 4: Finally, Payment Depot’s premier account tier offers customers an unlimited processing volume in exchange for $199 per month, as well as a $0.05 transaction fee for every tap, dip, or swipe you process. Payment Depot doesn’t leverage any cancellation fees, so you’re not wedded to a long-term contract. You can also switch plans at any time if you want to downgrade or (hopefully!) upgrade if your sales volume changes. Also like Fattmerchant, Payment Depot is highly respected by its clients for its reliable support team: In fact, the company earned a rare five-star rating on Trustpilot for their prompt and kind customer service team and thorough technical assistance. However, Payment Depot doesn’t work with businesses in high-risk industries, like accounts receivable and billing companies, debt consolidation and other financial services companies, online gambling, and more. You can see a full list of barred industries on their website. Like the other providers on this list, Chicago-based Payline Data’s stated mission is to take the confusion out of shopping for (and working with) merchant account providers—a promise they deliver on with their simple pricing plans, which are based on how you accept payments. Both of Payline Data’s two plans feature interchange-plus pricing, and they clearly delineate each of the four major credit card issuers’ standard interchange rates on their website. If you accept cards in person, you’ll choose the Payline Start plan. With this plan, you’ll pay a $10 monthly fee plus a $0.10 per-transaction fee. Businesses that key in credit card data and online businesses can opt for Payline Connect, which also costs $10 per month plus $0.20 per transaction. In addition to a merchant account, Payline Data provides business owners with all the equipment they need to process payments however they see fit, including a payment gateway to enable online orders (which integrates with over 175 online shopping carts), mobile readers, and countertop POS terminals, as well as a suite of API tools to customize your checkout process. Regardless of how you’re accepting credit card payments, Payline guarantees that they’ll deliver your funds within one to two days. Other major offerings include ACH payment solutions, chargeback prevention services, and subscription billing capabilities. Payline Data is also among the few, reliable merchant account providers that work with high-risk businesses—including those in the financial services, tobacco, gaming, and auto parts industries—without charging these businesses extra-large fees. Dharma Merchant Services prides itself on its fair business practices (in fact, their tagline is “commerce with compassion”), which is only in part demonstrated through their charitable giving initiatives—in 2017 alone, Dharma donated over $100,000 to nonprofits—and working with local, sustainable, socially responsible vendors and suppliers. It should come as no surprise, then, that Dharma offers individualized credit card processing solutions for nonprofit organizations, including reduced rates for these businesses, as well as offering a service to create custom websites for charitable organizations. But in both their pricing and their practices, Dharma exercises transparency and simplicity across the board, regardless of whether you’re running a nonprofit or very-much-for-profit venture. In addition to merchant accounts, Dharma offers all the tools you’d come to expect from a full-service payment processor, including a virtual terminal, mobile POS hardware, and countertop POS terminals. Dharma also offers a customer database into which you can securely store your customers’ payment and personal information; reporting capabilities; payment links you can integrate into your business website; ACH processing; invoicing and recurring billing; next-day deposits for in-person transactions; and reduced rates for businesses that process over $100,000 per month in credit card transactions. B2B businesses can also take advantage of Dharma’s merchant services geared especially toward these organizations. 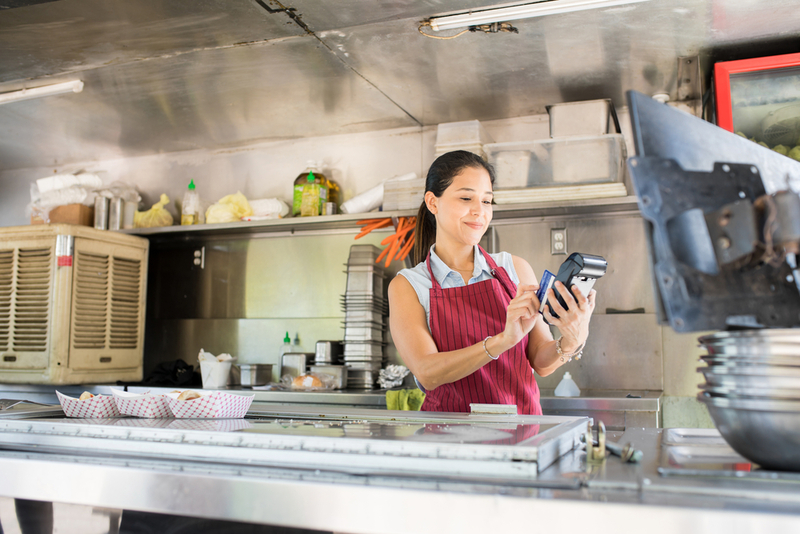 Dharma’s merchant accounts feature an interchange-plus pricing model, though exact rates differ for virtual, retail, and restaurant businesses. Dharma doesn’t lock customers into long-term leasing contracts or impose hidden fees, so you can cancel your membership at any time without worrying about incurring an early cancellation fee. They also disclose all the fees and charges you can expect on their website. Keep in mind that Dharma generally doesn’t work with high-risk businesses—which Dharma defines as merchants for which chargebacks, disputes, and fraud are more likely to occur—but they still encourage businesses that may fall under this category to reach out and inquire about an account. You may notice that many merchant account providers won’t work with businesses they consider high risk, and others may not be cost-effective for businesses that process relatively small monthly credit card volumes—and new businesses tend to fall under both of these umbrellas. So for burgeoning businesses, we recommend seeking an all-in-one point of sale system (PSP) like Square. And rather than selling individual accounts to individual merchants, PSPs aggregate all the merchants on their platform into a single, universal merchant account. Because your business won’t need to undergo an underwriting process to determine your risk level, it’s easier for newer businesses to acquire PSP merchant accounts than traditional merchant accounts. That said, PSPs tend to be more sensitive to perceived red flags and unusual behavior in your account, which may lead to more frequent frozen accounts and held funds. We like Square for its robust POS capabilities and transparent, pay-as-you-go pricing model. With Square as your payment processor, you can choose from a range of POS equipment to accept all major credit cards (and other tender) at a countertop terminal, on your mobile phone or device, your computer, or on your dedicated ecommerce store. As a major plus, Square POS, its software (available as a downloadable app) is totally free. As we mentioned, Square charges customers on a per-transaction basis, and fees vary depending on the type of payment you’re processing and the Square hardware you’re using to process it (Square’s mobile card readers, Square Terminal, or Square Register). Take a look at Square fees for an in-depth look at what a Square account will cost you. Ecommerce businesses seeking the stability of a dedicated merchant account and the tech-forward solutions of an all-in-one payment processor like Square should look to Braintree Payments as their ideal payment platform. Used by major tech companies like Airbnb, Jet, Yelp, and Uber, Braintree provides online businesses with all the tools they need to accept every major type of payment: all major credit and debit cards, Venmo, digital wallets, ACH deposits, local payments, and PayPal. You can also take advantage of Braintree’s huge list of third-party integrations, and their impressive suite of developer tools make your business’s checkout as personalized and seamless as possible. Braintree’s pricing structure doesn’t get much simpler: You’ll pay 2.9% + $0.30 per transaction, or 0.75% for ACH transactions. PayPal and PayPal Credit payments won’t incur a transaction fee whatsoever. Which Merchant Account Provider Is Best for Your Business? Now that you know our picks for the best merchant account providers on the market, you need to choose the provider that’s right for your particular business. Does the merchant account provider offer the proper POS terminals you need to accept payments—i.e. countertop, mobile, and/or online? Do they offer other services, like business management capabilities and app integrations, to help streamline your processes as much as possible? How accessible is their customer support team? Perhaps most importantly, you’ll need to determine which pricing model is the most cost-effective for your business—so you’ll need to calculate your average per-month transactions, then determine whether a monthly subscription fee would end up costing you more than what you’d pay for a pay-as-you-go or standard interchange-plus service. Also, remember that you’re on the hook for a monthly fee regardless of how many credit card transactions you’re processing, so highly seasonal businesses, or businesses with otherwise unpredictable selling patterns, would probably do better with a merchant account provider that charges a flat-rate plan. Once you answer these questions, you’ll find the merchant account provider that can reliably process credit card payments for your business.